The Providing Opportunities for Parental Success (POPS) program is a five year federally funded grant project housed at Centerstone Indiana. POPS focuses on developing and sustaining responsible fatherhood. Eligible fathers (including biological, step, adoptive and expectant fathers) can receive services in Bartholomew, Brown, Lawrence, Monroe, Morgan and Owen counties. The project hopes to specifically reach at-risk fathers such as those who are low-income or have involvement with the criminal justice system. The program aims to serve at least 650 individuals during the five year grant period. Fathers who are enrolled receive help with meeting the challenges that can come with being a parent: communicating and being engaged with their children, healthy co-parenting, employment and financial stability, and recovery. POPS coaches work to help fathers self-assess their needs and develop ways to overcome barriers such as housing, transportation, childcare, health care and insurance. 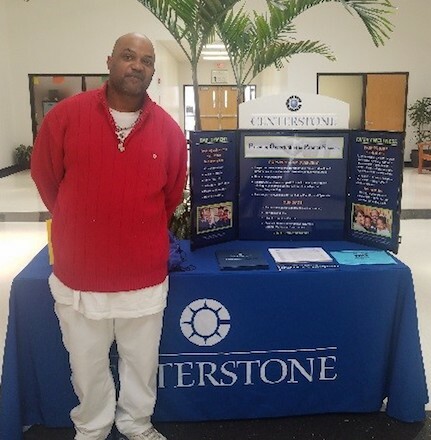 When Micah, a Centerstone client, enrolled in the POPS program in October 2017, he had a lot of worries on his mind … and little hope that his situation would improve. He was unemployed and, although willing to work, unable to provide financially for his children. The money problems in his household were spilling over into his relationship with his significant other on a daily basis, and he was unsure about what his future would hold. Today, just a few months later, Micah’s future looks bright. 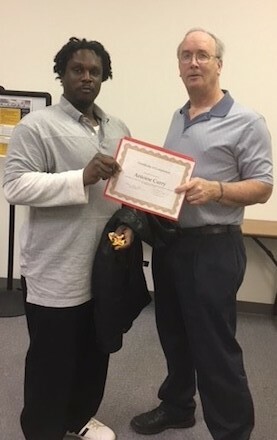 After the POPS program assisted him with addressing his transportation needs and developing a paid work experience with a local moving company to begin rebuilding his work history, he was recognized by his employer for his motivation and desire to learn new skills. Micah was offered full-time regular employment with the company and is currently doing projects for the city. He loves his job and hopes to continue to advance in his career by completing an electrician apprenticeship in the future. Micah is now able to provide for his family and reports that his relationship with his significant other has dramatically improved because of this opportunity as well as the communication skills he learned through the Family Wellness workshop he attended while in POPS. Parenting Skills and Healthy Relationships: POPS coaches teach the evidence based Family Wellness curriculum Survival Skills for Healthy Families, Dads for Life: Fathering for Family Wellness, and The Strongest Link: The Couple. Employment and Economic Mobility: POPS coaches provide support to assist fathers with budgeting, goal setting and obtaining and maintaining meaningful employment. Benefits Information Network liaisons are available to help with benefits coordination and understanding and planning for the impact of employment on entitlements. Coaches have training specific to helping ex-offenders with their career development goals. Recovery Capital: POPS coaches use the theory-based Stages of Change model to help fathers build strengths, abilities and resources to improve their health and wellness, live a self-directed life and strive to reach their full potential. Relapse prevention classes are offered each month in the community. In addition, POPS graduates report they believe they know how to handle money and bills more efficiently, feel more confident that they have the skills to be an effective parent, and do more to financially support their children. To refer an individual to the POPS program, please email us. Left: POPS graduate Dana attends Orientation and Enrollment Day in Columbus. 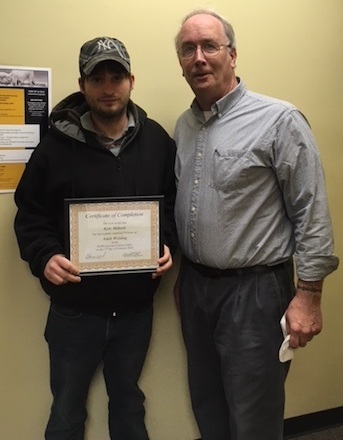 Center: POPS graduate Kyle Mekosh with his coach, Fran Basile, after receiving his AWS welding certification. Right: POPS graduate Antoine proudly holds his graduation certificate.